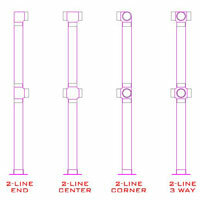 Gallery Metalworks Plaza Rail Systems are designed to permit easy assembly in virtually any configuration imaginable. Their cost-effective, modular design reduces shipping costs and offers broader layout flexibility. 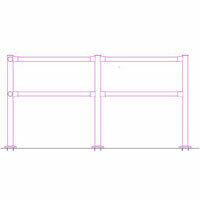 Unlike less versatile, pre-welded systems, Gallery Metalworks Plaza Rails can be positioned at any angle during installation to easily accommodate layout modifications and and changing site additions. 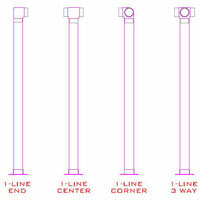 Plaza rails provide all of the function and durability of our normal systems with a more formal, eye-catching design. Suitable for public guidance and separation applications where style and look are as important as durability. The perfect choice in office lobbies, restaurants, airports, conference centers, hotels and casinos. Use plaza rails where layout requirements are relatively static and aesthetics preclude the use of typical industrial-looking movable stanchions.